Skills: Roof construction, loft conversions, renovation, general building, kitchen fitting, decking, flooring, 1st and 2nd fix carpentry. My name is Jon Warton. 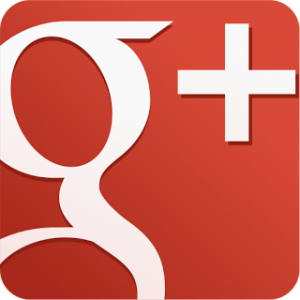 I am a professional carpenter in Brentwood, Essex. I have over 15 years carpentry and joinery experience. My career fist began at Stiltland Joinery Basildon. 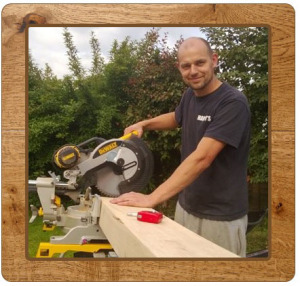 I started out as an apprentice, achieving an NVQ 1, 2 and 3 in carpentry and joinery. During my training, I learnt many carpentry skills, working alongside my fellow work colleague, Mike Jones. I was required to operate woodworking machinery to fabricate doors, desks, stairs and decking. Sometimes I would go onsite and install the products I made. I was honoured to take part in special commercial projects. Some of these projects was to install reception desks in theatres, casino’s and pharmaceutical giant GlaxoSmithKline. I also installed the seating area inside the London eye pods. These are some of my proudest carpentry and joinery achievements. Once I mastered the basics, I then learnt advanced carpentry skills. I have worked for many carpentry and joinery firms since my training. Throughout the years I have gained many skills in constructing, erecting, installing, maintaining and repairing fixtures on commercial and residential buildings. There have been many times I have been allocated jobs on prestigious and unique houses of high value. Jobs that have been tailor made to the customer’s needs. My greatest joy has been working with the public, carrying out carpentry and joinery duties. I love contributing to the design process, giving my personal thoughts. Typical jobs include kitchen fitting, loft conversions, garden decking, plus more. Due to my extensive experience in the fields of carpentry and joinery, I decided to open up Warton Woodworks. This business also offers home improvement services alongside my carpentry skills. 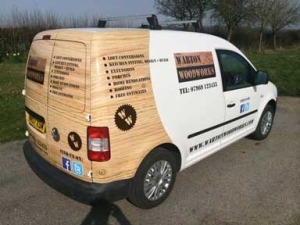 Warton Woodworks also have a DIY Blog; here you can view carpentry and renovation achievements. I love carrying out woodworking projects in my spare time; currently I sell bespoke Oakwood coffee table and double bed. If you need a carpenter in Brentwood, or anywhere in Essex, then please contact me. Skills: Roof construction, loft conversions, renovation, general building, kitchen fitting, bathroom fitting, decking, flooring, plastering, 1st and 2nd fix carpentry. My name is Mike Jones. I am a professional carpenter in Wickford, Essex. 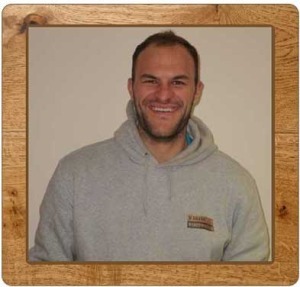 During my training, I learnt many carpentry skills, working alongside my fellow work colleague, Jon Warton. I was required to operate woodworking machinery to fabricate doors, desks, stairs and decking. Once I mastered the basics, I then learnt advanced carpentry skills. I have worked for many carpentry and joinery firms since my training. Throughout the years, I have gained many skills in constructing, erecting, installing, maintaining and repairing fixtures on commercial and residential buildings. My greatest joy has been working with the public, carrying out carpentry and joinery duties. I love contributing to the design process, giving my personal thoughts. Typical jobs include kitchen fitting, window fitting, loft conversions, wooden flooring, plus more. Do you need a Builder or carpenter in Brentwood? If so, then please contact us.